Here’s something most people don’t know about me: I’ve secretly always wanted to be a ballerina (which is totally far-fetched because I cannot dance to save my life!). This is probably one of my favorite outfits that I’ve shot in 2017. 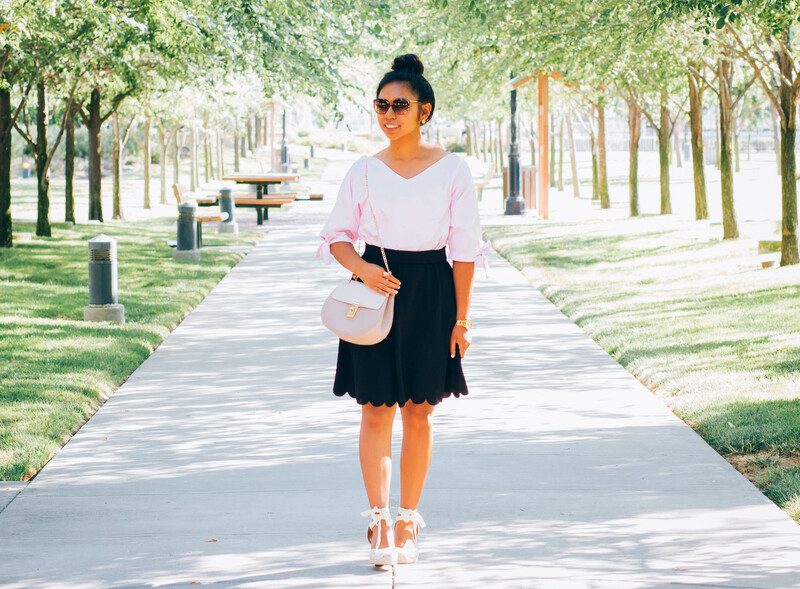 I actually didn’t realize how ballerina-inspired this outfit was until I put my hair up in a bun. My mom took these photos and helped me think of these poses. 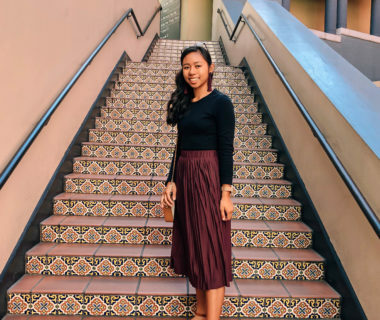 I’ve been blogging for four years and still don’t know how to pose without looking awkward sometimes, haha! 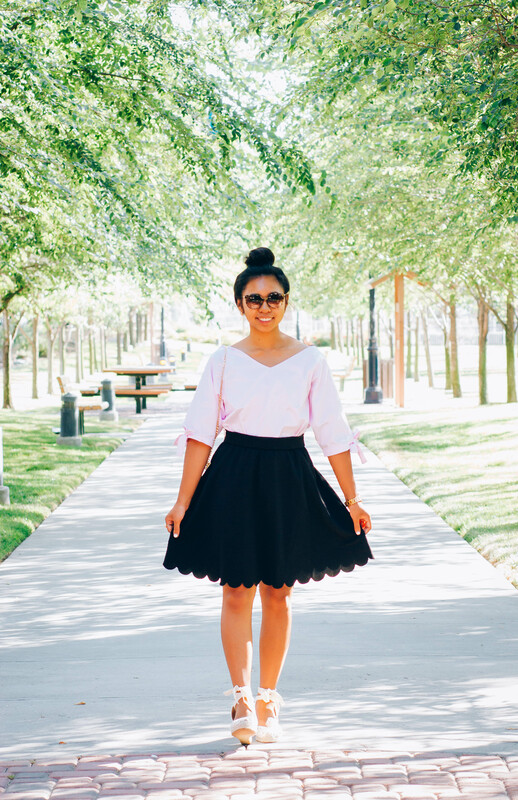 This pink top and $10 skirt are from Shein. 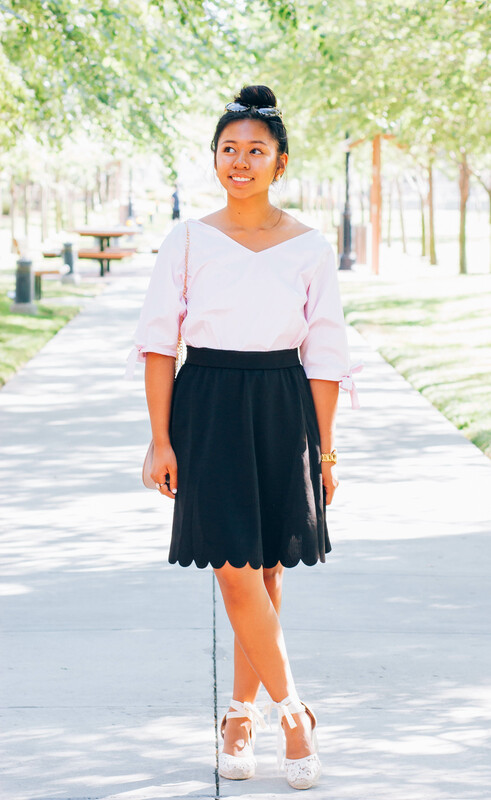 They’re both simple pieces, but they each have details that combine to make the whole outfit unique. 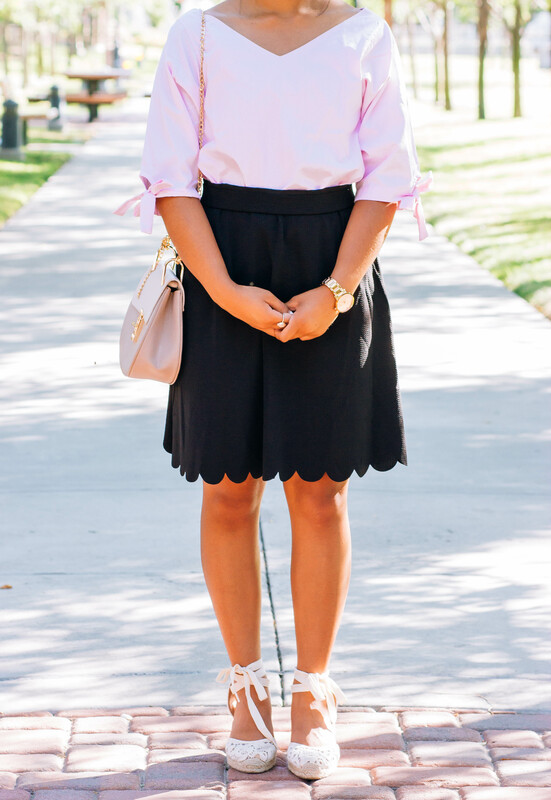 The pink top has a bow at the end of each sleeve, and the skirt has a scallop hem. I also wore a few accessories to finish the outfit. 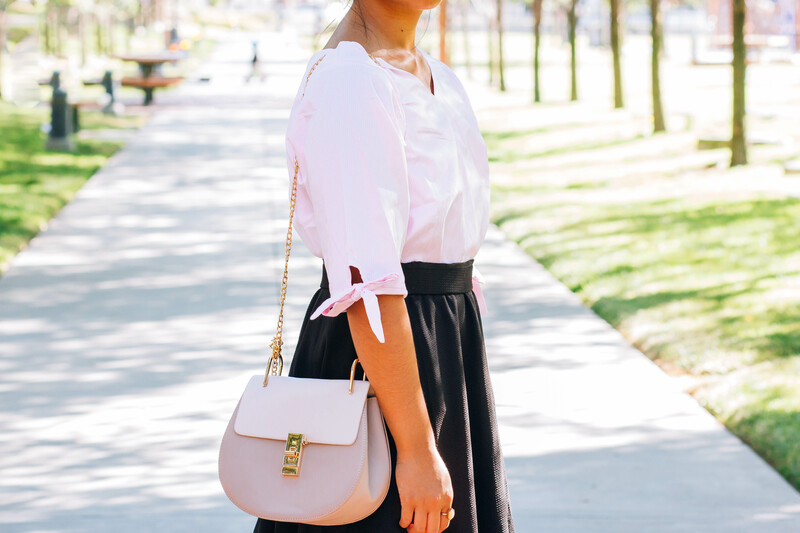 If you haven’t already, check out my 7 Must Have Accessories for Your Closet post! 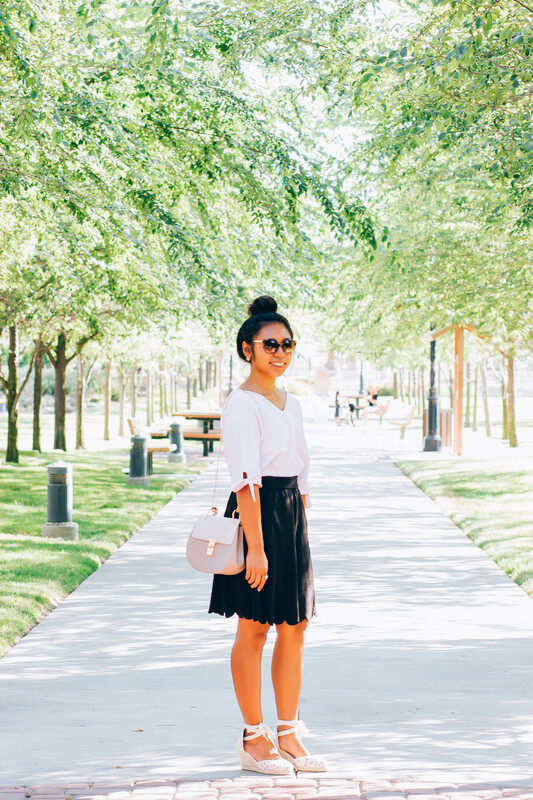 I’m looking forward to wearing this skirt in the fall and winter since it can be paired with just about any color.